PBR Canada Photo by Covy Moore. WANHAM, Alberta – Zane Lambert (Ponoka, Alberta) won his first PBR Canada Touring Pro Division event of the 2017 season on Friday night at the Wanham Plowing Match PBR Extravaganza. 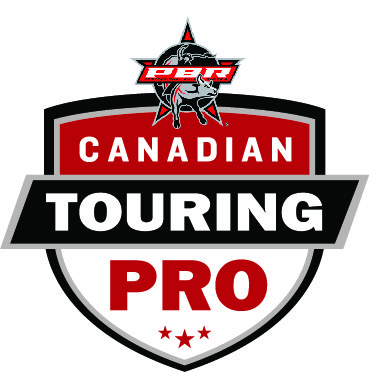 The Professional Bull Riders (PBR) travels to all corners of the Globe, including Canada, and Wanham is the northern-most stop on the 2017 docket. Events have been as far north as Alaska in the past, however, this year Wanham wins the title being 400 kilometers north of Alberta’s capital city of Edmonton. For those who haven’t been, the sun didn’t set until after midnight and rises again about four hours later. Lambert is no stranger to the plowing match that happens each June, having won here three times prior. The current No. 8 man in the PBR Canada Standings put up scores of 85 points on Overcooked (Vold/Prescott) for first overall and another 82.5 points on Nifty (Vold/Prescott) for third spot. The 2013 PBR Canada Champion went 2-for-4 overall on two entries for 80 world points and over $6,126.17 in earnings. On Monday, the 2016 PBR Canada Finals Champion may rank as high as second in the PBR Canada Standings and 55th in the World Standings. Also making a massive jump in the standings in Wanham was 2015 PBR Canada Champion Tanner Byrne. On Friday, Byrne put his first ride on the board after a return to competition on Wednesday night in Calgary. The Prince Albert, Saskatchewan man rode I Work Out (Vold/Prescott) for 83 points and second place in Wanham. Byrne’s 1-for-2 performance earned him $3,063.09 and 30 world points which move him from 199th to 119th in the World Standings. Rounding out the qualified rides on a bull-dominated night in Wanham was Cody Coverchuk (Meadow Lake, Saskatchewan). Coverchuk rode Arnie (Wild Hoggs Bucking Bulls) for 81 points, $1,605.75 and 15 world points which move him to 105th in the World Standings. Next up on the PBR Canada Touring Pro Division Schedule is PBR Ponoka presented by the Ponoka Stampede on Friday June 23rd. The PBR’s Monster Energy Tour wraps up the first half in Toronto, ON on June 24th at Ricoh Coliseum. Official results from the Wanham PBR Extravaganza on June 16th, 2017. Round 1: 1. Zane Lambert, 85 points on one bull, $647.70, 60; 2. Tanner Byrne, 83, $485.78, 30; 3. Zane Lambert, 82.5, $323.85, 20; 4. Cody Coverchuk, 81, $161.92; 15; no other qualified rides. Aggregate, total money and points earned: 1. Zane Lambert, 85 points on one bull, $3,980.66, 60; 2. Tanner Byrne, 83, $3,063.09, 30; 3. Zane Lambert, 82.5, $2,145.51, 20; 4. Cody Coverchuk, 81, $1,605.75; 15.